"... recorded in the warm acoustics of Waalse Kerk in Amsterdam ... the sterling soloists are first desk players: need more be said?" "The performances are stylish and idiomatic while employing modern instruments. Sound is warm and accurate, with notable spaciousness and savory timbres, especially in the solos. ... the selection of concertos should prove especially pleasing ... on all counts: music, performance, sound, this is an excellent CD." 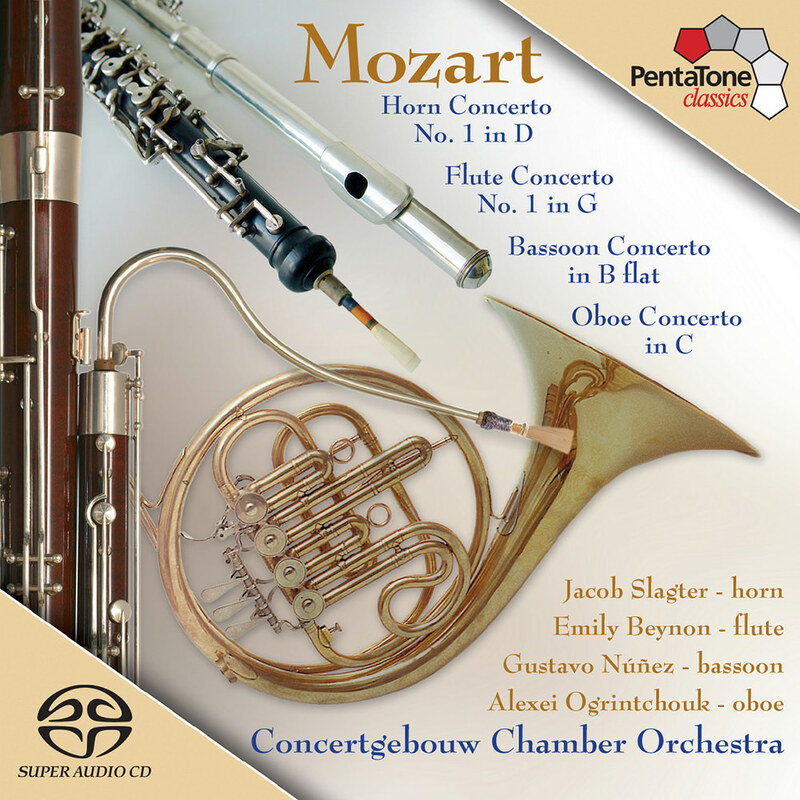 This album features four Mozart wind concertos, for horn, flute, bassoon and oboe, performed by top soloists with the Concertgebouw Chamber Orchestra. There are many parallels between Mozart's solo concertos and his arias. By harmonizing virtuosity and dramatic expression, Mozart portrayed different characters in an ingenious manner. The “vocal” nature of the solo parts is, logically, strongly present in the works for wind instruments. After all, singing is based on breathing; naturally this is also the case in wind music. Microphones: Neumann km 130, Schoeps mk25, DPA 4006, with Polyhymnia microphone buffer electronics.